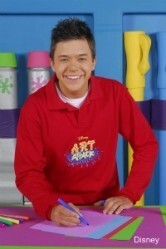 Some of you may remember a great art show for kids called Art Attack. Well, we’ve got good news – it’s back! Launching on Disney Jr from Monday 6th June at 3.25pm, the show will be full of great ideas and step-to-step instructions to help you get creative within your own home! To find out more about what we can expect, we caught up with the show’s new presenter Jass Ahluwalia.